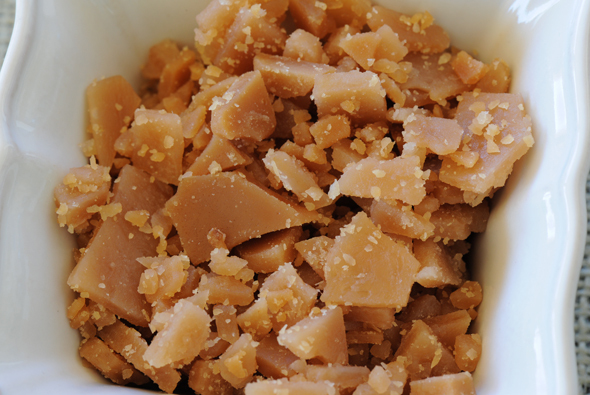 Top your favorite Amish Friendship Bread recipe with these Toffee Bits. Using this recipe, you can make homemade buttery, sugary goodness in less than 15 minutes. 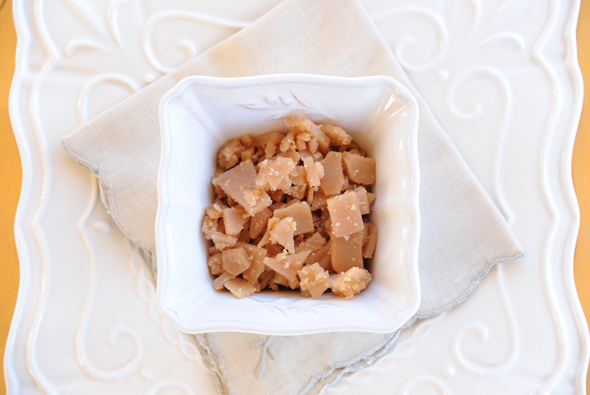 Top your favorite frosted Amish Friendship Bread recipes with this easy toffee recipe. Place all ingredients in a saucepot. Bring to a boil over medium-high heat (about 5 minutes). Continue cooking for about 8 more minutes, until the mixture reaches 300° F degrees and begins to turn brown. Pour onto a Silpat-lined baking sheet and spread thin. Allow to cool. Place in a plastic bag and break the bits with a can or measuring cup. I don’t own a silpat, can I use parchment paper or foil? Thanks!! Yes, though parchment may be better than foil to reduce the chances that the toffee will stick.